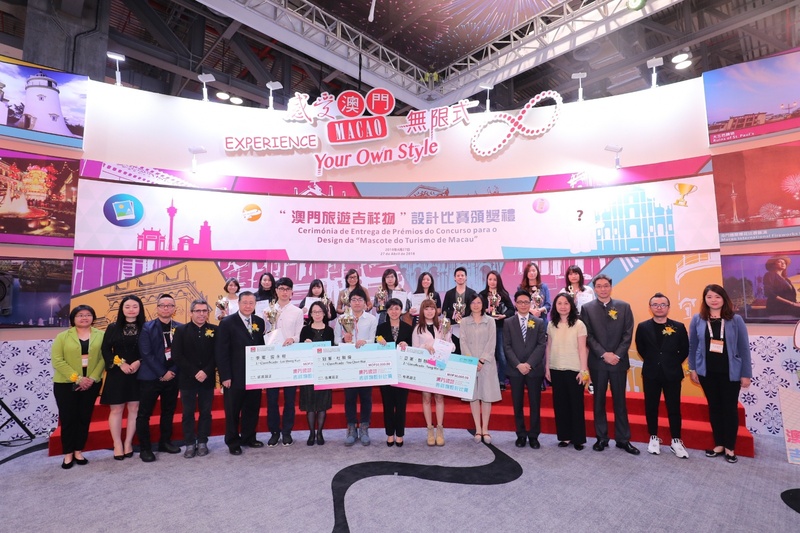 A prize-giving ceremony was held today (27 April) to present first, second and third prizes as well as ten merit prizes to winners of the Design Contest for Macao Tourism Mascot. 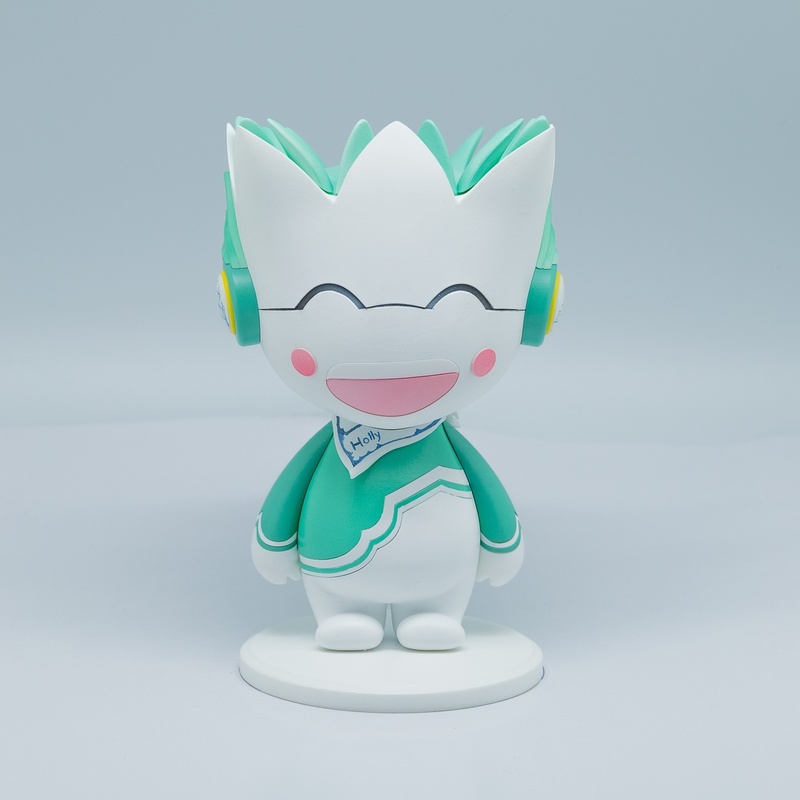 The Design Contest for Macao Tourism Mascot was organized by the Macao Government Tourism Office (MGTO) together with the co-organizers, the Cultural Affairs Bureau and the Cultural Industry Fund. The mascot models of the 13 top-rated entries selected at the preliminary stage are showcased at the Macao Pavilion of the 6th Macao International Travel (Industry) Expo (MITE) starting today. Residents and visitors are welcomed to view the mascot models during the three-day Expo. The prize-giving ceremony for the Design Contest for Macao Tourism Mascot was held at the Macao Pavilion of the 6th MITE at noon today. 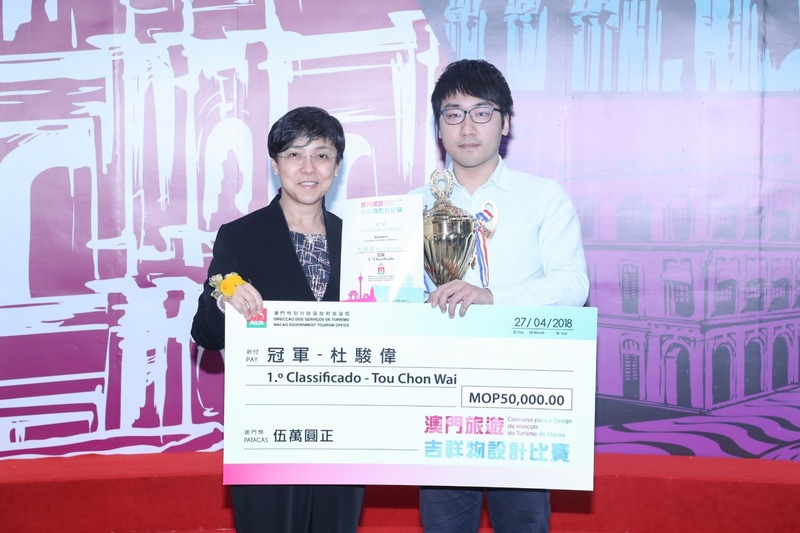 MGTO Director Maria Helena de Senna Fernandes; Acting Vice President of the Cultural Affairs Bureau, Lei Lai Kio; and Director of Board of Administration of Cultural Industries Fund, Davina Chu, presented cash prizes, trophies and certificates to first prize winner Tou Chon Wai, second prize winner Tang Wai Ian and third prize winner Loi Weng Kun respectively. In addition, representatives of the jury panel presented ten merit prizes to the winners. MGTO Director Senna Fernandes stated in her speech that through the Contest, MGTO aimed to collect outstanding entries of tourism mascot designs that highlight the unique and fascinating dimensions of Macao as a travel destination, with the hope to bring out a fresh and positive tourism image of the city, impelling the tourism industry and the cultural and creative industries to move forward while demonstrating the orientation of Macao as a cosmopolitan city for travelers. 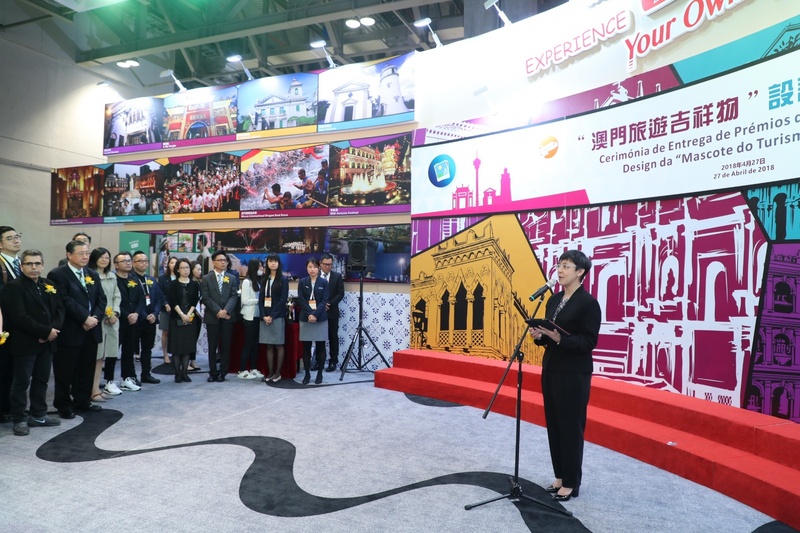 The Tourism Mascot will take up the important role to promote the destination, while guiding visitors from around the world to explore hidden gems in different districts and parishes of Macao. Designed by first prize winner Tou Chon Wai, the Macao Tourism Mascot “MAK MAK” is a black-faced spoonbill, its design inspired by the Guia Lighthouse. The hues of red, yellow and blue on “MAK MAK” bring out a European aroma. In the role of a pathfinder, “MAK MAK” guides travelers to explore Macao, a city of Chinese and European cultures woven together in harmony, while searching for its own meaning on the journey and bringing back all valuable experiences to its most beloved home – Macao. 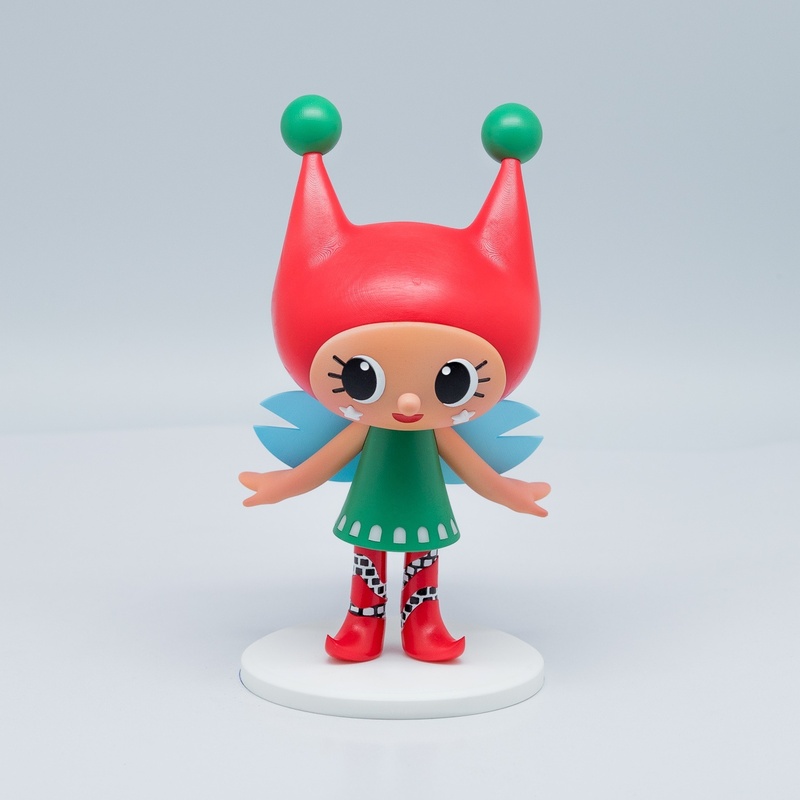 Mascot “OKI”, designed by second prize winner Tang Wai Ian, is a hospitable elf that enjoys exploring new and exciting things in Macao and flies around the world to promote the city. The stars painted on her face represent those on the Macao SAR flag. Together with the pattern of Portuguese tile on her outfit, the design epitomizes the charisma of Macao’s harmonious blend of Chinese and Portuguese cultures. 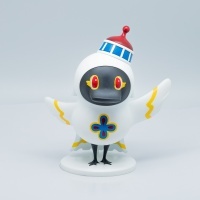 The third prize, on the other hand, went to Mascot “Holly” designed by Loi Weng Kun. With the pattern of lotus as its core design, “Holly” has smiling eyes shaped like a bridge that reinforces connection across the straits. The body of “Holly” is painted with the classic blend of colors, mint green and white, which often appears on Portuguese architecture. In the backdrop, the Ruins of St. Paul’s and A-Ma Temple are sketched in a tone of white to bring out the cultural duet of East and West. Merit prizes went to the following entries: “POTA” by Cheong Kin Lok, “tart tart” by Choi Si Chan, “Rooster Dancer” by Chio Hei Leng, “Tart-tart” by Tao Hoi Neng, “kiki” by Tang Jia Jun, “Ho Ho” by Wong Wai Kei, “António” by Fernando Chan, “MACÁRIO” by Liu de Castro Elsa and Lei Sin Lam, “PanGalo” by Chan Peng U and “Luz” by Chan Wai Lam. Starting from today until 29 April, the mascot models of the 13 prize-winning entries are showcased in the Macao Pavilion at the 6th MITE currently held at Hall D, Cotai Expo of the Venetian Macao. To highlight the work designed by the first prize winner, MGTO produced a mega air-filled doll of the Macao Tourism Mascot and a huge photo frame for spectators to take pictures with and share on the designated social network in exchange for a souvenir. The opening hours of the Macao Pavilion is from 10:00 to 18:00 (11:00 – 18:00 on 27 April). The Design Contest for Macao Tourism Mascot began calling for entries in late October last year. Within a period of over two months, applicants submitted a total of 111 entries. The jury panel includes MGTO, Cultural Affairs Bureau, Cultural Industry Fund, Macao Polytechnic Institute, Macau University of Science and Technology, City University of Macau, University of Saint Joseph, Macau Productivity and Technology Transfer Center, Macau Artist Society, Macau Designers Association and Albergue SCM. The jury panel assessed the entries and selected the winners based on the criteria of their relevance, feasibility of production, design concept, aesthetics, creativity and skills. MGTO created models of the 13 top-rated entries selected at the preliminary stage for assessment and scoring at the final stage, and showcases them at the Expo. The selected Macao Tourism Mascot will be used for destination promotion, with its image produced on different promotional materials, and appearing at different tourism activities and overseas tourism promotions.